The Fellowship was fortunate enough to obtain a copy of REVIVAL #3 from Image Comics. Tim Seeley writes and Mike Norton draws. The world is still reeling from the after-effects of Revival Day, when the dead started to rise (which is less zombie-esque than you might think). Em is a reviver, her sister Dana is a cop, and life is just starting to get interesting for them both. Dana is investigating a potential reviver hate crime, while Em is stumbling across something possibly more sinister. This is a fascinating twist on the zombie story; the revivers are all but identical to how they were in life. And no one seems to know what happened, at least not the characters we see (the CDC is only just getting involved). So all of the characters we know (so far) are normal people trying to live normal lives. So it’s fun to see what normal people do when abnormal things happen around them, and to them. This is a title with strong drama potential and the promise of some sort of supernatural hijinks (or something that looks very much like it). It’s definitely worth a look. 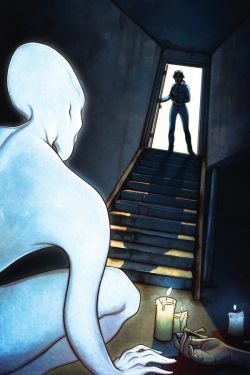 REVIVAL #3 is available now at your FLCS or by order from imagecomics.com.